The October 2018 Update has only just dropped, and yet another problem is affecting some Windows 10 users who have taken the plunge with the upgrade, in the form of a non-functioning Edge browser. 'Hmmm', indeed. 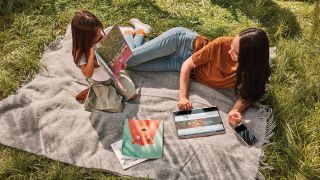 Other browsers, like Chrome or Firefox, or indeed Microsoft’s Internet Explorer – and non-Microsoft Store applications – can connect to the net just fine. It’s not clear how many folks this bugbear has hit, but apparently it’s something to do with IPv6 settings in Windows. A solution is in the pipeline, apparently, but the current workaround is simply to enable IPv6. As outlined by Microsoft, you can do that by heading into Settings, then clicking Networking & Internet > Network and Sharing Center. Select your network adapter here, then click Properties, navigate to the Networking tab, and tick the box next to Internet Version 6 (TCP/IPv6). Then click OK to save the changes. This should work in theory, anyway, although a couple of users have complained that this hasn’t solved the problem for them. One user said that it solved the issue for the Microsoft Store, allowing that to connect online – but not for Edge. Fingers crossed if you are affected that the proposed Microsoft solution does indeed function correctly as a workaround. If not, you’ll just have to wait for the patch, which Microsoft is apparently busy working on. Other gremlins which have hit the Windows 10 October 2018 Update in its very early stages – it’s only available as a manual download right now, the official rollout hasn’t started yet – include a problem with Intel CPUs, and a much more troubling issue whereby the upgrade seems to be deleting some people’s files (by the truckload in some cases). If you’ve run into any kind of trouble with the upgrade, you might want to check out our guide on how to fix Windows 10 October 2018 Update problems.